We are not sacking teachers- Niger govt – Royal Times of Nigeria. 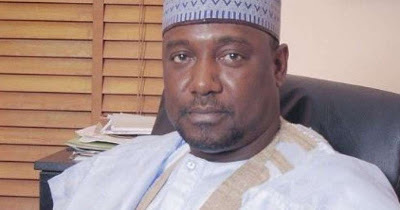 The Governor of Niger state, Abubakar Bello, on Wednesday declared that there were no plans by his administration to sack primary school teachers in the state employment. Bello gave this assurance after inspecting the newly established Niger State Professional Teachers Development Institute at Maraban Dandaudu, in the Muyan Local Government Area of the state. The institute was established to produce primary school teachers for public schools, especially in the rural areas. The governor had said that some primary school teachers with fake certificates in public schools were being investigated, accusing them of being responsible for poor foundation of puipls and falling standard of education in the state. The statement was interpreted by many to mean that the governor was planning to sack to teachers. The governor, allaying the fears, said, “I learnt of a rumour making the rounds that we intend to sack primary school teachers following the misconception of what I said about the falling standard of education occassioned by inadequate qualified and competent teachers in our primary schools.